One of the greatest statesmen of the 20th century was Sir Winston Churchill. As the Prime Minister of the United Kingdom, he helped to lead the world to victory during the Second World War. Churchill’s career was instructive. When he turned 25, he was elected to parliament and began his career as a statesman in the House of Commons. Despite an aristocratic background, lacking a prestigious list of backers to vouch for his talent, Churchill had to earn public recognition. As a leader, he possessed the necessary capability to inspire and empower other people. Today, thumbing through the pages of his books, I try to glean insight from both his decision-making skills and leadership qualities. 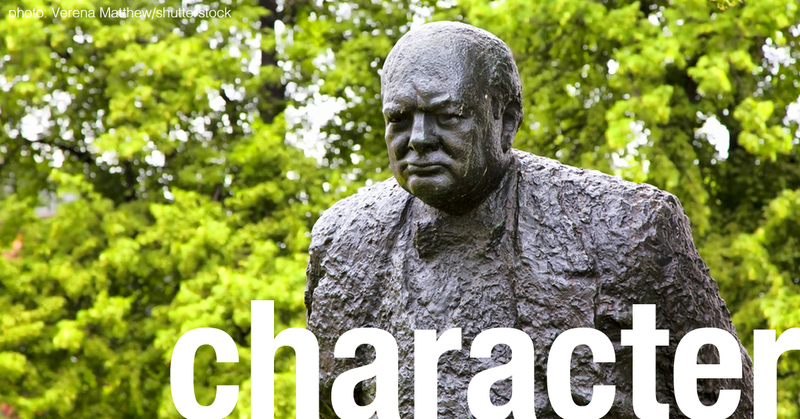 Since Churchill, ideas about leadership have changed. Unlike in his day, social media plays a vital role in “proving” leadership qualities. Today a person is judged on leadership skills based on the number of “followers” they have, regardless of how those followers are acquired. Peter Drucker’s definition of leadership is being literally applied: “The only definition of a leader is someone who has followers”, although perhaps not in the way he intended. Today, for a person to present him- or herself as a “future leader,” he or she needs to not only demonstrate purpose, the ability to empower, and a preference towards learning, but also well-known and reputable firms on their CV. At the end of November, I was selected as a finalist for the “Drucker Challenge Essay Award 2018,” at the Global Peter Drucker Forum in Vienna. To learn and participate with guests who, like me, appreciate the contributions of Peter Drucker to management and leadership and consider his achievements of the first order. The Forum pointed out that the most important qualifications of leaders and managers are their character and integrity – a human element. The decay in social and moral responsibility, which we are sadly witnessing currently, requires the right leadership and management skills and the right priorities to restore it. The Drucker Forum made it clear: more effective leadership and management techniques as well as more morally-driven narratives will be needed in the future. However, where and how do we develop and identify these right leadership and management skills? In firms? Emerging managers, current and former presidents, ministers, CEOs – you name it – all use social media and experience at elite business schools, consultancies and other blue-chip organisations to demonstrate their leadership credentials. In turn those organisations proudly point to their CEO alumni to prove the efficiency of their leadership production lines. Yet, many of today’s esteemed managerial class and leaders have been coming under increased media scrutiny for their apparent lack of essential leadership skills. Top management at Facebook, Uber and Theranos are three obvious examples. This begs the question as to whether many of our world and corporate leaders are really destined for authentic leadership at all. Most certainly, experience gained in A-list companies births both knowledge and skills to solve complex problems. Employees learn to develop higher levels of conceptual capacity and to deal with difficult long-term problems as they climb the organizational hierarchy. But can composing PowerPoint presentations and attending workshops really teach you the true leadership à la Churchill? High-performance companies require constant availability that leave no time for the pursuit of personal hobbies, whether it be reading, painting or correspondence (as a winner of the Nobel Prize of Literature in 1953, Churchill appreciated the unity of poetry and art). A company culture of “up or out” does not encourage passion and loyalty. Having insufficient time for friends and loved ones does not enable a person to develop an outstanding personality; that same outstanding personality that ironically these companies require. Back to Drucker. Management and leadership are embedded in culture, history and tradition, and because it deals with the fundamental disciplines of philosophy, expressed through knowledge, and wisdom, Drucker considered management an art; an art that required the ability of drawing together knowledge from the disciplines of psychology, philosophy, economics, and history. Churchill is immortalized, not just for leading the Allies to victory in World War II, but for his character, foresight, passion, loyalty, personality, determination, and the optimism he was able to communicate. None of these traits can be learned behind an office desk. Future leaders need to redefine the meaning of leadership. Leadership is more than about working at high-ranking firms, holding titles, and having a social media following. As Churchill once said, “Kites rise highest against the wind – not with it”. Sebastian Woller is a Management professional with experience in banking, consulting, the public sector and the automotive industry.